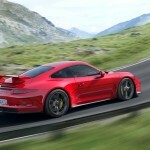 The new Porsche 911 GT3 premieres this week at the Geneva International Motor Show. 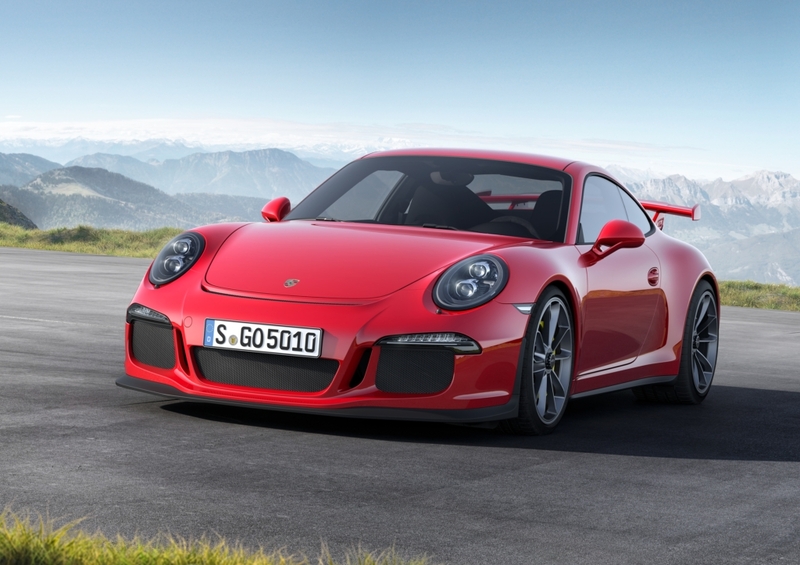 The completely-redeveloped fifth generation of the 911 GT3 occupies the top position among Porsche sports cars with naturally-aspirated engines. 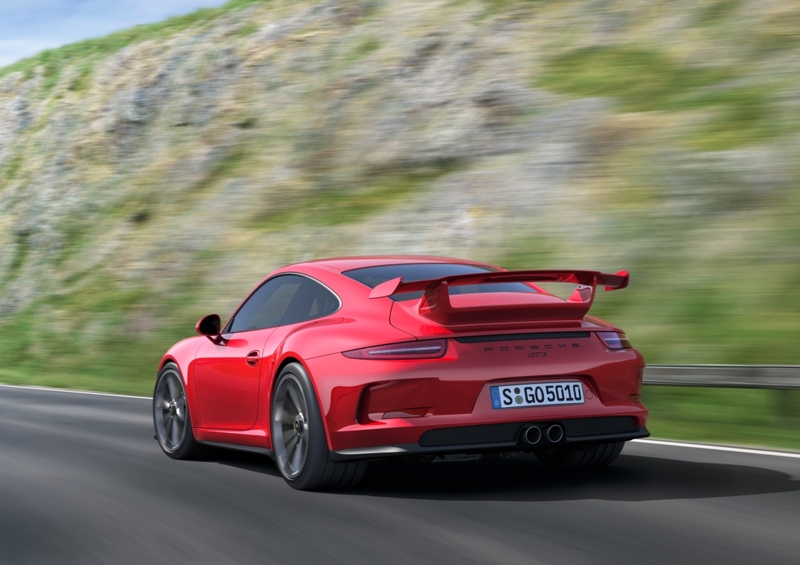 With an impressive lap time on the Nürburgring Nordschleife of under 7:30 minutes, the 2014 911 GT3 benefits from a new engine, transmission, body and chassis. The car now sprints from zero to 60 mph in 3.3 seconds on its way to a top track speed of 195 mph. 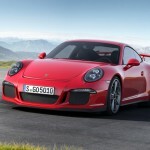 The 2014 911 GT3 will go on sale in the United States late in 2013 and will be priced from $130,400, not including a $950 destination charge. As a technical highlight, the 911 GT3 features the first active rear-wheel steering in a production Porsche, as well as optional full LED headlights. 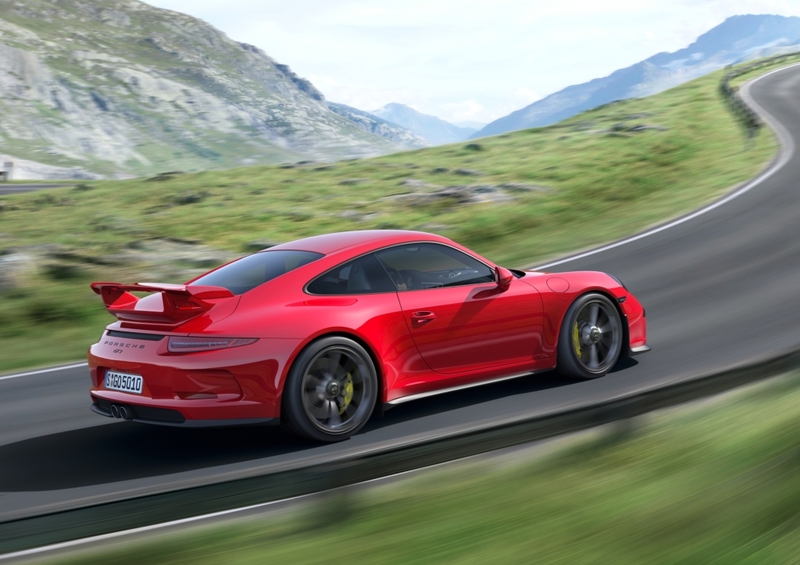 The new GT3 brings to everyday driving many of the properties of a sports car developed on the track, and preserves the highly emotional fun factor. 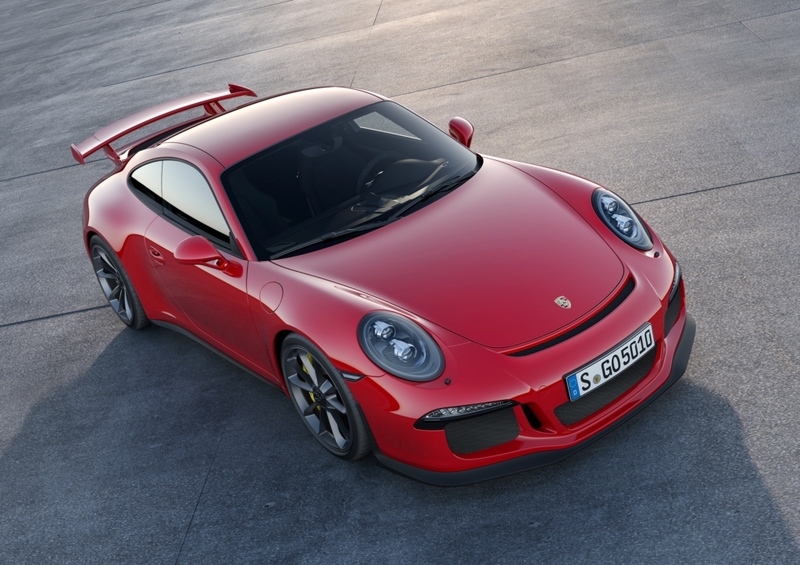 The powertrain of the new 911 GT3 is composed of a 3.8-liter boxer engine yielding 475 hp (125 hp/liter) featuring a 9,000 rpm redline and a specially developed Porsche dual-clutch transmission (PDK) which drives the rear wheels. 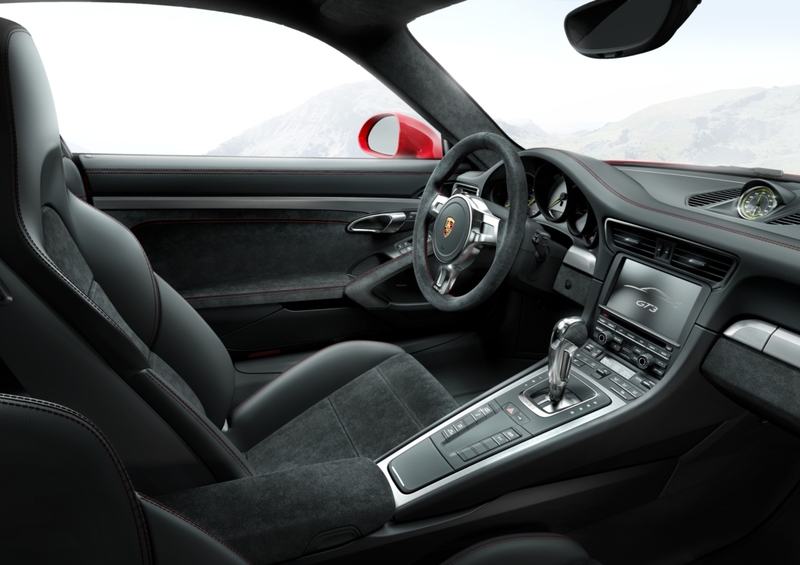 The six-cylinder engine is based on the same engine as the 911 Carrera S, although they share only a few common parts. All other components, particularly the crankshaft and valve gear, were specially adapted or designed for the GT3. For instance, Porsche designed titanium connecting rods and forged pistons for this engine. The Porsche dual-clutch transmission in this application has been specially developed for the 911 GT3: the characteristics are based directly on a sequential gearbox from racing, thereby providing further performance and dynamic advantages to the driver. Highlights include shorter gear ratios with closer spacing, even faster shifting, and shift paddles with shorter travel and increased tactile feedback, which now allow the driver to place the PDK in neutral simply by pulling on both paddles at the same time. For the first time, Porsche is employing active rear wheel steering to achieve even higher steering precision and improved lateral dynamics. Depending on the speed, the rear wheels steer in the same or opposite direction of the front wheels, improving stability and agility. Other new features that improve driving dynamics are an electronically controlled, fully variable rear differential lock and dynamic engine mounts. Contact with the road is made by new 20-inch, forged alloy wheels with center-locking hubs in place of conventional wheel bolts.